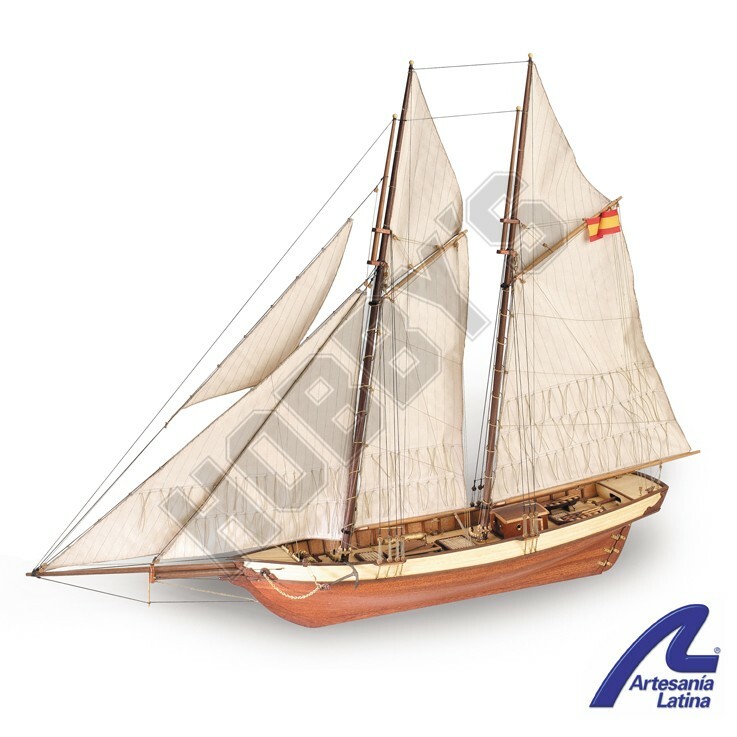 A magnificent model of an armed Spanish Schooner. Its sleek lines and impressive frame of sails combine well with the large calibre, rail mounted canon. Carried out surveillance and protection around the Balearic Islands.